This is a visual/audio animation from www.zapsolution.com. 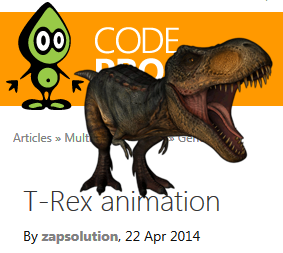 Use drag and drop to move T-Rex everywhere on the desktop. To close the animation, press the escape key or the ALT-F4 key combination.